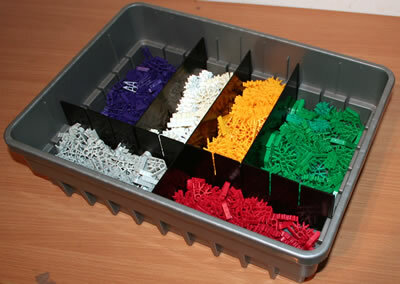 Many KNEX sets include wheels that consist of hubs with removable tyres. The photo shows a Tyre Small fitted to a Hub/Pulley Small. The hub is approx. 37mm (1.5 inch) in diameter. 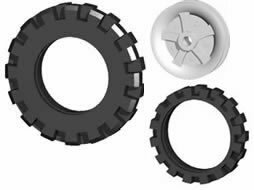 A 6-spoke wheel with the same diameter is also available, if required. 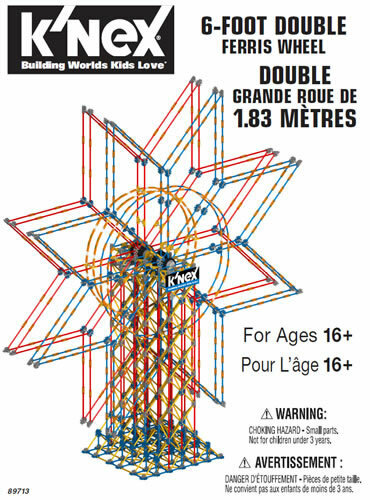 To use the wheel, simply put a classic K'NEX rod through the hole in the middle, and it will spin freely. 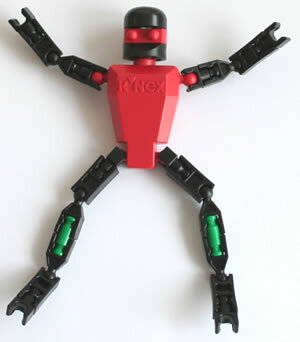 One way to stop the wheel falling off the rod is to put some type of K'NEX clip on the end of the rod (see picture). 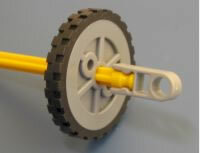 An alternative approach if you need a simple wheel to use in your K'NEX model is to to fit a Tyre Small onto a white 8-way connector. 1. The K'NEX Medium tyre, giving a wheel diameter of approx. 65mm (2.5 inch). 2. The K'NEX Large tyre, giving a wheel diameter of approx. 90mm (3.5 inch).